For washing and disinfection of general, surgical and critical instruments. 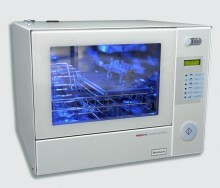 Devices processed in this machine must be able to withstand elevated disinfection temperatures. Click the button below to add the Medisafe PICO Evo Washer Disinfector to your wish list.